One of this years most ferocious winter storms is suppose to be barreling across the United States this week. All I can think about is the beach...warm sand on my toes, sun shining on my face. 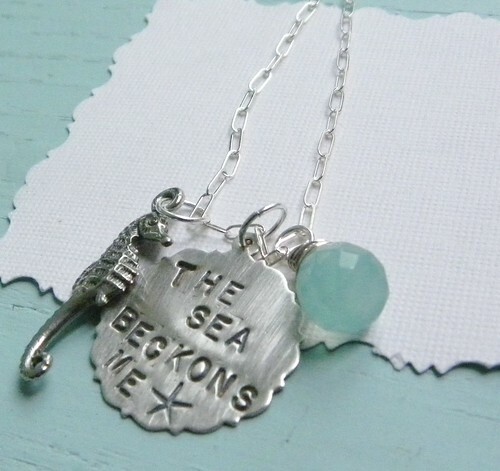 Please enjoy this little piece of beach heaven from jewelry artist - Heather, of Simple Daisy! She also writes one of my favorite blogs, Simple Daisy Blogs. I'm Heather, the designer behind Simple Daisy! 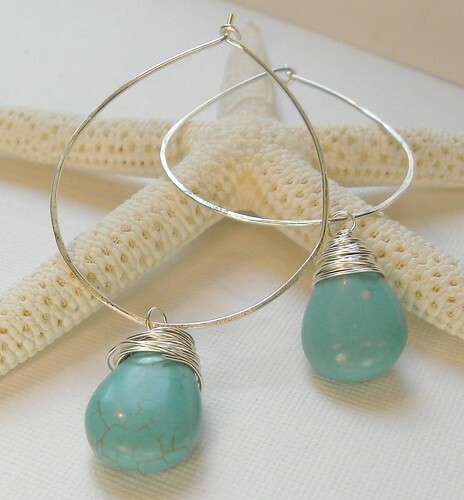 It is my desire & passion to create simple pieces of jewelry that evoke feelings of blissful days spent on the shore. 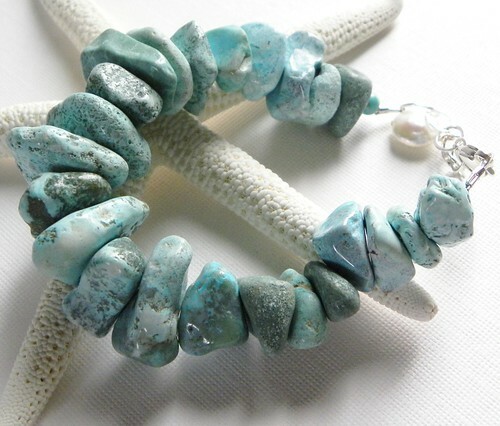 I am inspired by the beauty & simplicity of the ocean........aqua blues, shimmering water, sea life all come through in my designs. 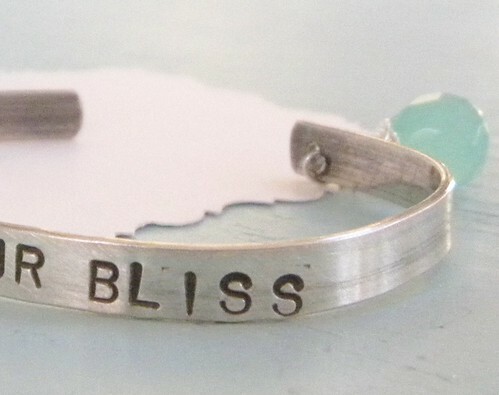 I am absolutely happiest spending time in my Simple Daisy studio creating custom jewelry that will make you happy when you wear it. 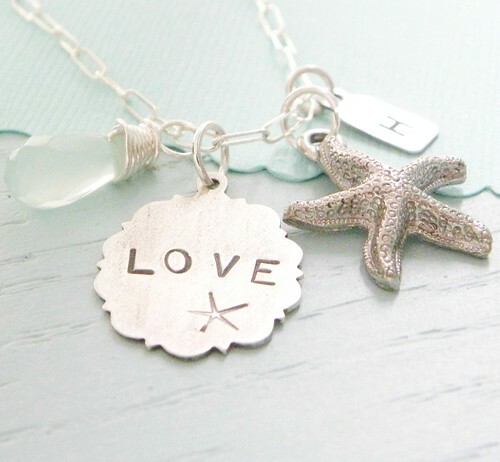 And I do hope you do enjoy wearing your Simple Daisy jewelry as much as I enjoy creating it!!" 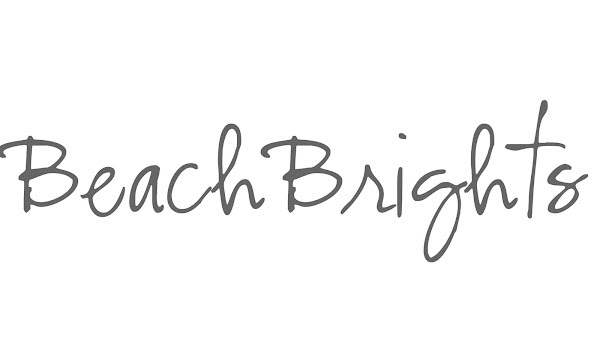 Stop by and visit Simple Daisy...tell her Beachbrights said "Hi!" Stay warm & safe this week! What gorgeous stuff . . . I die for that first necklace, and the bracelet is so pretty. Off to follow her blog ;) Stay warm! 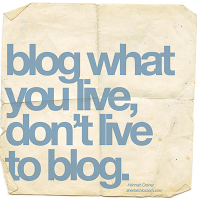 I follow Simple Daisy's blog (along with this one, of course!) and I love her studio! I'd be happy spending time in there too! Those earrings are gorgeous! I'm heading over to Simple Daisy now. I'm so very aqua right now! Stay warm and dry. My daughter's living in Brooklyn - her first winter there since growing up in the mild winter Houston area. 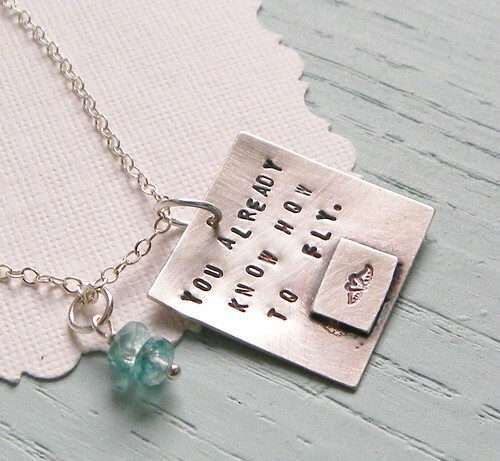 Love her jewelry and her blog! She is so full of life and inspiration!